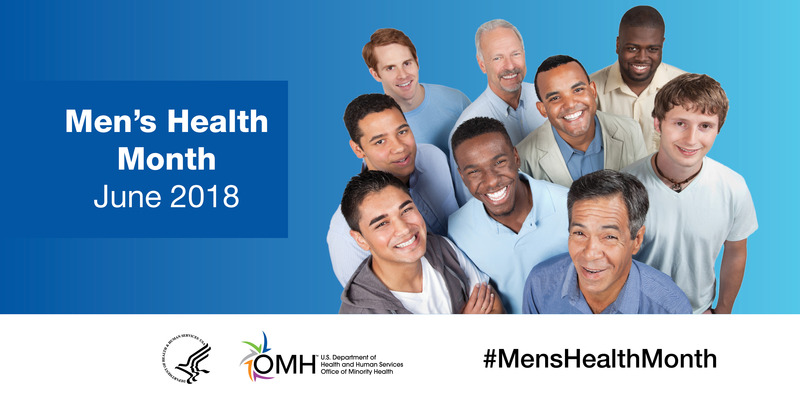 June is Men’s Health Month, an observance used across the country to raise awareness about health care for men and focus on encouraging boys, men and their families to practice and implement healthy living decisions, such as exercising and eating healthy. According to the U.S. Centers for Disease Control and Prevention, boys and men in the United States, on average, die 5.6 years earlier than women and die at higher rates from nine of the top 10 leading causes of death. During Men’s Health Month, we encourage men to take control of their health, and for families to teach young boys healthy habits throughout childhood. The HHS Office of Minority Health will also observe Wear Blue Day on Friday, June 15. This day is a part of the year-round Wear BLUE® awareness campaign that was created by Men’s Health Network to raise awareness about the importance of male health and to encourage men to live longer and healthier lives. 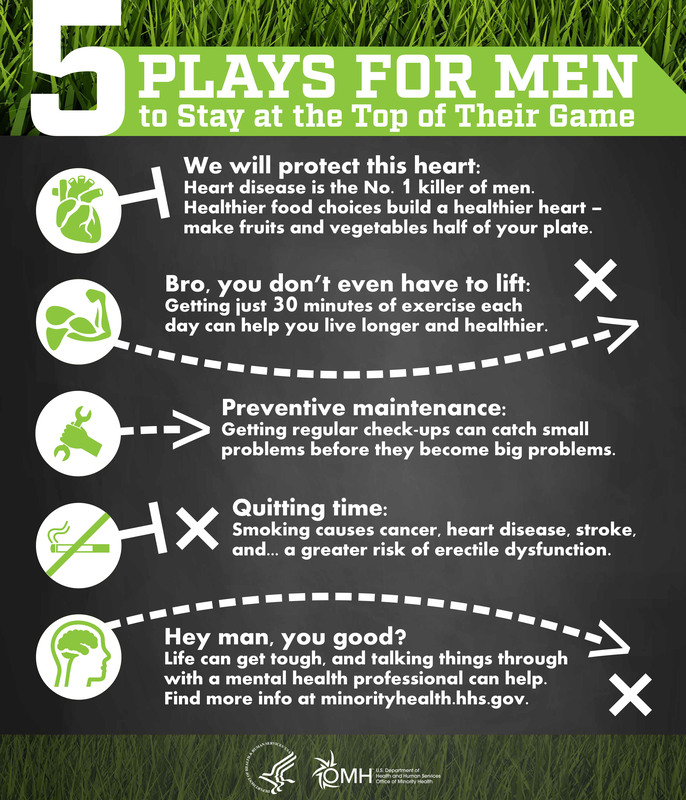 We invite you to join us in promoting messages like OMH’s Five Plays for Men’s Health that remind men and boys that they can improve their health by seeking medical advice and taking other important steps, such as making healthy food choices, staying active, quitting smoking, getting regular checkups and taking care of their mental health. 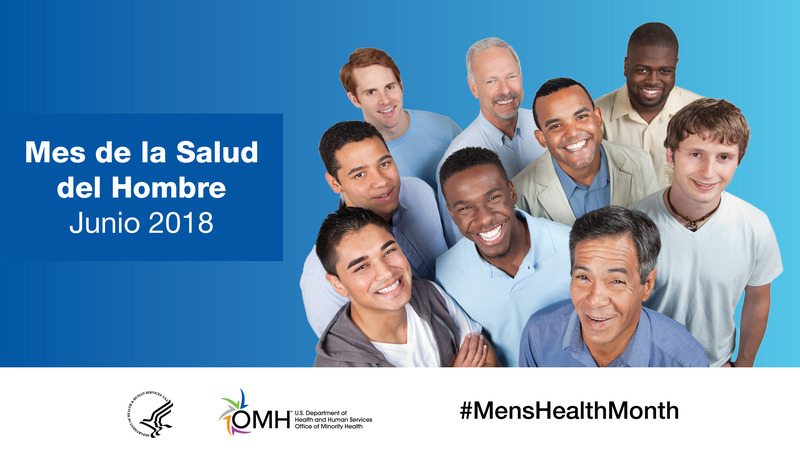 Visit this web page during Men’s Health Month 2018 for updates on downloadable materials and events. 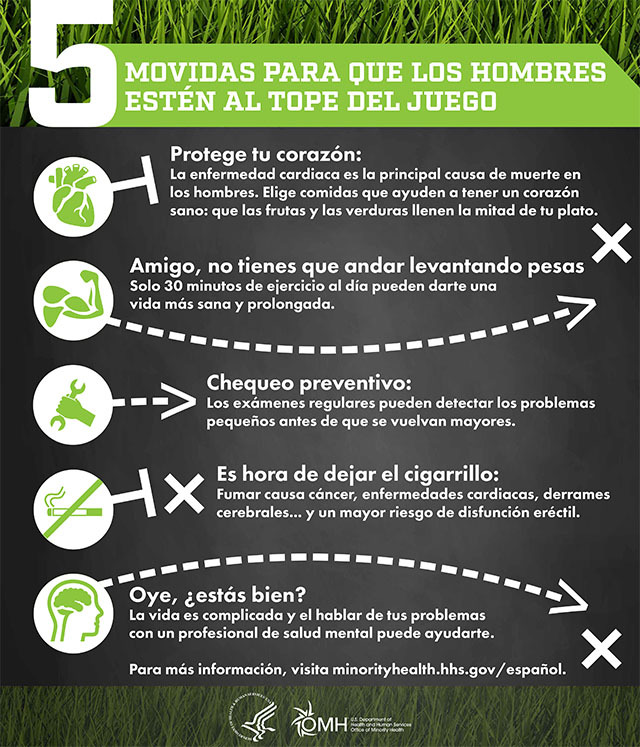 NOTE: These images may be downloaded and used only for purposes of promoting Men’s Health Month activities, and may not be used for commercial purposes, including selling of products and services and advertisements in newspapers and other publications. Despite our nation’s vast advances in science, public health and health care, the health status of racial and ethnic minority men continues to lag behind the general population. The links below provide information about disparities among boys and men in the United States.